A small group of Ohio flat fenders are getting together on the Saturday of October 20th, 2018 to drive the unmaintained roads in the area between Tar Hollow State Forest and Hocking Hills State Park in Ohio. We currently have 3 to 5 flat fenders. We will meet around 10:00 and ride for about 5 hours. These are county roads that are not maintained. Some are just creeks others are old wagon roads that run property lines up into the hills. Vehicles attending must be licensed and insured because these are technically state roads. We are open to other flat fenders joining us. This sounds really interesting. It was great wheeling with you at the Spring Reunion. Gotta check the calendar. Bob, It would be great if you can join us. It should be about the height of the leaf color in Mid Ohio. The roads should be good. Less than 1/2 of the time in four wheel low if it is dry. Mainly unpaved. Not much cell service. We will look forward to having you along on the ride. Bummer, I'm out. I'll be preparing trails that weekend for the Greenbrier Jeep Jamboree. Have Fun. All good, perhaps you can join us next year. Be safe out there. 1943 MB - "Lt Bob"
You can always join us next year! Yes Sir! The Hocking Hills area is very pretty. There used to be a 2-day bicycle event around there called the Columbus Fall Challenge. It was a very difficult ride but through gorgeous country. The jeeping there would be first class! Oh, and thanks for the drawing! I appreciate it. 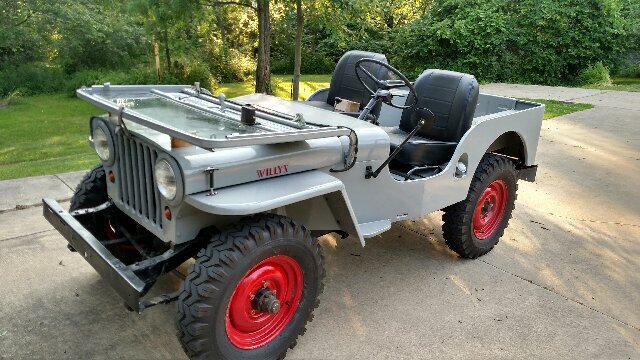 I want to do two jeeps, I think. Yes, we are on for next Saturday (October 20th) for the Ohio Fall Color ride! I will send out a meeting place tomorrow. We have a few different routes to choose from depending on the weather and how difficult the going might be. It has finally turned colder here. Last night it got to 39 degrees, so the leaves should be great. The Butterfly migration is about over and the humming birds are gone from the feeders this week - which usually indicates we are finally into fall. The plan is to meet at old maintenance facility on Clark Hollow Rd (which is also known as Town Hwy 2) around 9:30am. Get unloaded and be rolling by 10:00. The old maintenance facility is about .5 miles up Clark Hollow Rd on the left side (South East). If you go under the high tension power lines on Clark Hollow Rd you have gone to far. I would suggest anyone attending to look at Google Maps link to find the intersection of SR 327 and Clark Hollow Rd. on the South East side of Tar Hollow State Park (Laurelville, Ohio 43135). Cell phone service is almost non existent and the maintenance facility dose not have a known address. The closest address that I can find online for Pike Run Cemetery / Church is (take SR327 north of SR671 to south of main entrance of Tar Hollow State Park. Cemetery is on west side of SR327. There is an older cemetery across the road on the east side of 327.) which is north for Clark Hollow. The intersection of SR327 and Clark Hollow Rd is less than half a mile South of the Pike Run Cemetery / Church. Bring a trail lunch and a tow strap. 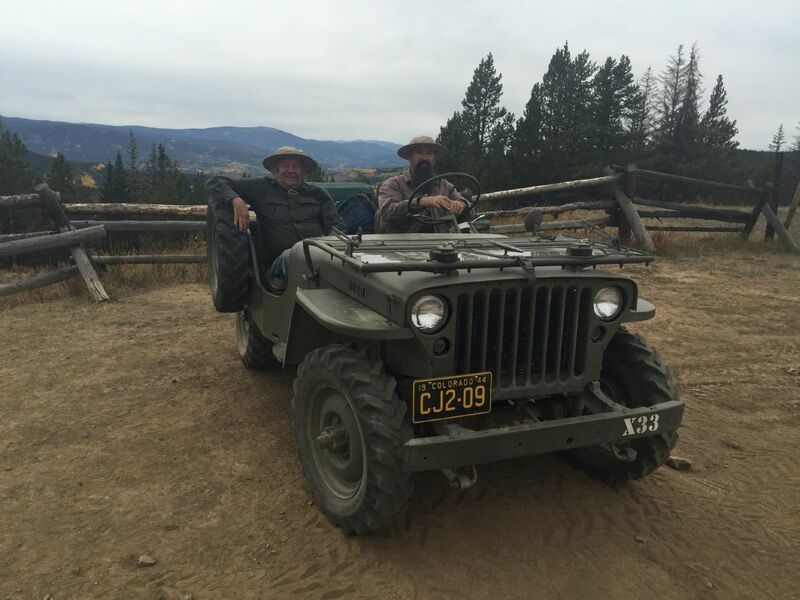 Hopefully, we will have great weather but I have found that good Jeeping can be had in all weather if we are prepared and the drivers are up for the challenge. Should be a blast - no cell phones service, no address for the meeting facility, unmaintained roads, old Jeeps and fall colors! Take a look at Google maps and let me know if you cant find the meeting place. Here is a link showing the meeting spot. We will be driving the road East / Northeast of the meeting place. We have a 50% chance of rain on Saturday and it should be around 50 degrees. This could be more than a little messy in some spots. Some of the roads like the Albright Rd hill climb (1/2 mile east from the ford on Town Hwy 11) and the Macedonia Church Rd (the portions that runs east past the church up to Old Sowers Rd) may impassable. The ford on Town Hwy 11 maybe also be impassable (looks like there is a bypass). If it is too bad we will switch over to the gravel roads to the West in Tar Hollow State Park. I would recommend anyone attending to bring their rain gear and recovery gear. Sometimes the best outings or at least the most memorable are the ones are the ones it rains on. Wet leaves are not always a traction aid. Hope the Colors are fabulous! Sometimes the best outings or at least the most memorable are the ones are the ones it rains on. Ask the guys who went over Tincup Pass last month. When they got back to TDR, they all looked miserable but they all said it was the greatest trip. I was one of those guys! Ol' Unreliable nailed it. Some of my best trips were in the worst weather.